SMART RACQUET'S Stringer is Nick Down who began stringing racquets 30 years ago. He is a member of the United Kingdom Racquet Stringers Association (UKRSA) and the European Racquet Stringers Association International (ERSA). Nick has been involved in racquet sports since the age of ten, mainly through his participation as a squash player. 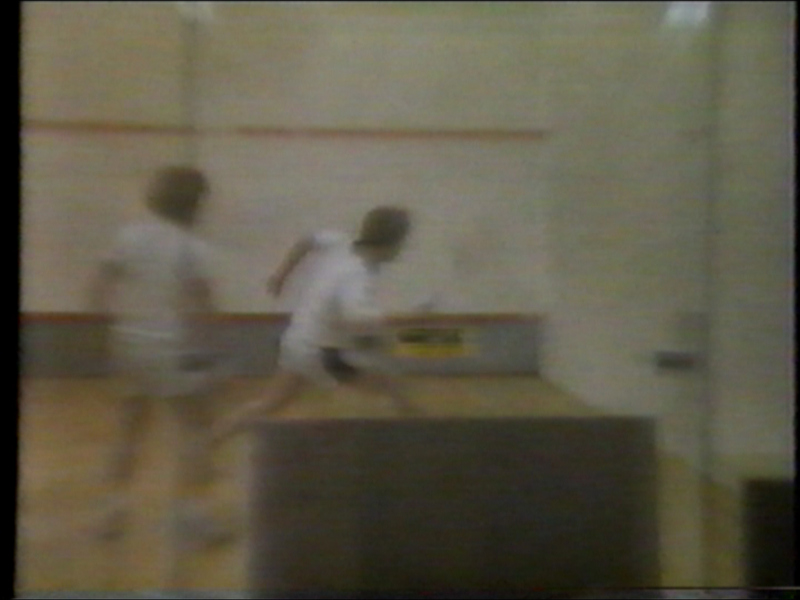 He was Herefordshire County Junior Champion three times and was a member of the Welsh Junior Men's International (U19) Squad in 1979. Nick also played for the Herefordshire Senior County team and was awarded county colours. L to R: Damien Ellis, Tom Burton, Stafford Murray, Rob Reid, John Ridgers, Nick Down. Nick has spent many years playing at a high standard in the top divisions of several county leagues around the UK and also in the widely respected Cumberland Cup in London until its demise some years ago. In 1993 Nick won a gold medal at the UK & EIRE Corporate Games and he is also licensed by England Squash and Racketball as both a squash and racketball Coach. Although primarily a squash player, Nick has played County League Tennis in the past and to a lesser extent badminton. Nick is able to utilise his extensive experience when it comes to servicing your racquets. He is keen to work with players of all standards to acheive their optimum racquet set-up so regardless of whether you're a beginner or professional player, have a look around the rest of the site and if you can't find what you're looking for, contact Nick for further information. Nick is the Global Squash Training Manager for the ERSA and Certification tester. He was the first stringer to attain the Master Pro Tour Squash Stringer award through the ERSA anywhere in the world and currently is the only holder of this award. He is also a Pro Tour Stringer (level 1) for Tennis. Nick is a qualified teacher and a member of the Education and Training Foundation (formerly the Institute for Learning) with current QTLS status. A highly experienced stringer on the Pro Squash Tour, he is available by arrangement to deliver lessons and courses built around any aspect of racket service either privately or through the ERSA certification programmes.